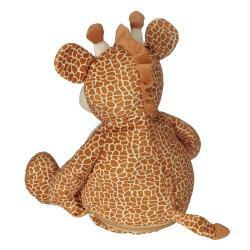 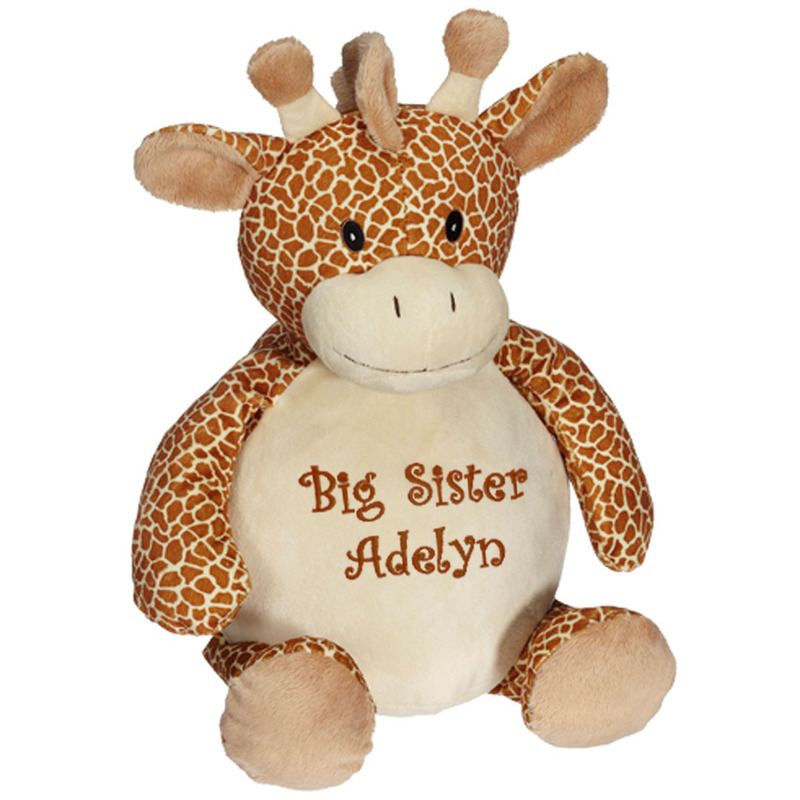 Our new Gerry Giraffe Buddy is so huggable, with a sweet face and cute smile. 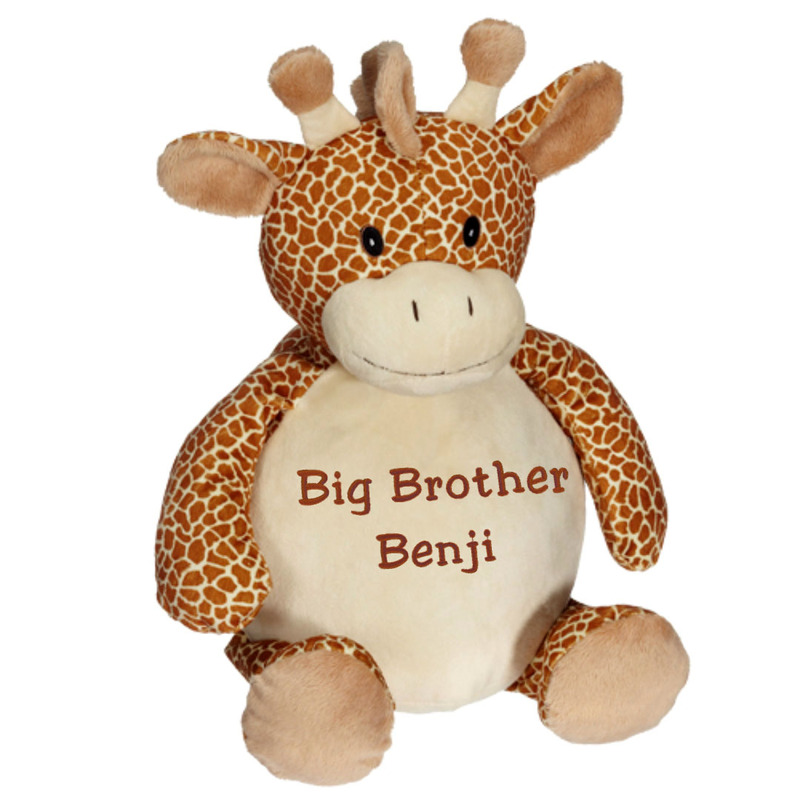 We embroider Big Brother or Sister's first name right on the tummy, to make an extra-special personalized gift! 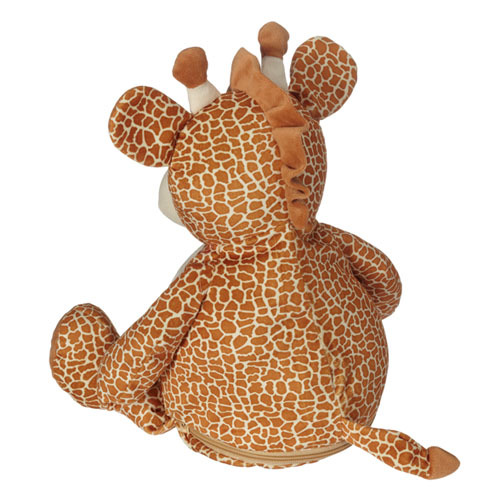 Gerry has a separate removable body pod with a zippered bottom opening, that makes a great "hiding place" for storing pajamas, a diary, or even secret treasures or gifts!